Simply put I love the reader and I love the characters. They make me laugh yet I still enjoy the mystery. Marco's storyline could have used a little tightening up as it dragged on too long and was a bit over the top but as soon as Rose and Assad are back in the picture - well they are just great fun! This is a series which should DEFINITELY be read in the order they were written to appreciate the dialogue and personalities of the main characters. 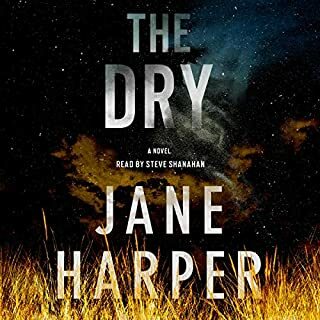 THIS STORY AND NARRATOR HOOKED ME! 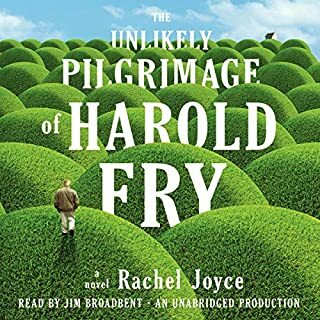 This book was really fun to listen to. 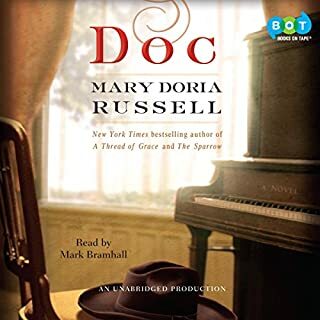 The narrator was truly fabulous and for the length of the novel I felt like I was transported to a different time and place. Loved it. Made me smile as well as feel sad. I LOVED listening to this narrator! When I use the word "frightening" as the headline for this review I do not use it the way I might for a novel like The Shining. For me, this story was less about a family in crisis (although they are) and the blinders a parent might wear when looking at their child's behavior.....rather it was more about the idea of nature vs nurture in the development of a person's psyche and behavior. I couldn't help but think of the sociopath or psychopath in society and just how frightening and damaging that person can be in relationships with other people. And I am not speaking necessarily of just murder and mayhem. The book goes from chapter to chapter smoothly keeping me hooked especially after the first few chapters. The characters were interesting and the end seemed so right for this book. I thought the narrator did a wonderful job of relating the story primarily in the words of the father. 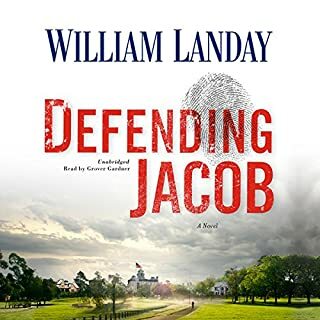 I give this book 5 stars because I thought it was well written with compelling subject matter but most of all because the book continues to linger in my mind. It has left me thinking about it long after finishing it. First I must admit I didn't get past the first half despite going back to it several times. The story line was without any exciting or other redeeming qualities so that left the first person narration by the dog, Chet, to give the book "page-turning" desire. At first it was sort of fun listening to his inability to resist any food anywhere and his difficulty curbing his jumping, licking, etc whenever he was overexcited. 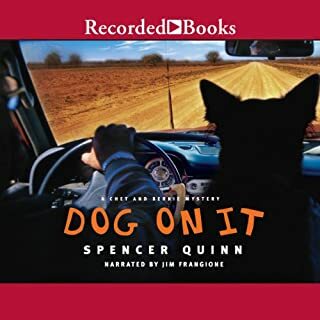 For anyone with a dog the narration provided chuckles and smiles in appreciation of dog behavior everywhere. But 8 or 9 hrs worth was just too long for me! Some people love the sweet, kinda of goofy mystery stories, some love the very gritty realistic and/or violent mysteries. I like the in between style but mostly I must be intrigued by the story and this "mystery" was too obvious for me. I loved this book! It touched me very profoundly with its simplicity and incredible depth. I cared so much for Harold that ultimately I cried for him and with him. Maybe others won't feel the same but I found myself taking the trip along side him. The narrator was so Harold. I will always remember this book with great fondness. As commander of the River Police, Monk is accustomed to violent death, but the mutilated female body found on Limehouse Pier one chilly December morning moves him with horror and pity. The victim’s name is Zenia Gadney. Her waterfront neighbors can tell him little - only that the same unknown gentleman had visited her once a month for many years. She must be a prostitute, but - described as quiet and kempt - she doesn’t appear to be a fallen woman. What sinister secrets made poor Zenia worth killing? 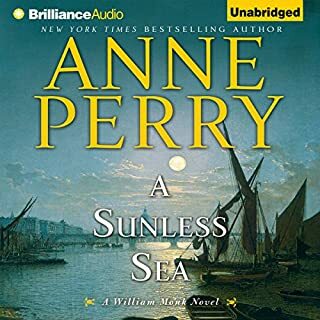 I never completed listening to this book as I became like a crazed woman every time Anne Perry's characters continually ruminated and questioned everything at every turn in this book. I had forgotten how she can drag out every scene with the same repetitive nonsense which fills up the pages (or hours) but does nothing to enhance the story. It is too bad as she IS able to take you to another time with an interesting storyline but then ruins it by having her characters think incessantly in questions. "I wonder this, I don't know that, I think this and Could it be, Would it be, Should I go or stay or.....JUST GIVE UP! That was the question I finally answered by downloading a different book. 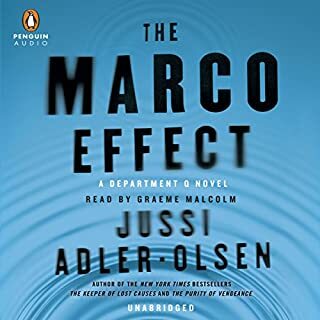 Book 2 of this new series was an entertaining listen. The main character was more fully developed in this book and the interactions between Carl and his assistants, Assad and Rose, (in Dept.Q) made for a lot of humor in an otherwise depressing case. The premise was a bit out there but it made no difference as I followed the sequence of events to the final conclusion. The end was inevitable and well written making me long for another book and a few more hours with this cast of characters. Really enjoyed the reader as well. 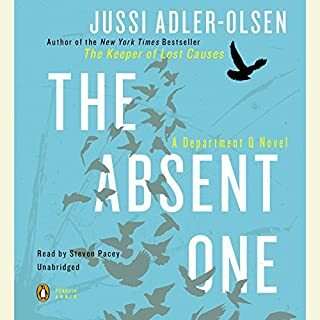 I gave this book 5 stars as it kept me hooked into listening and finishing it in a couple of days!! AN ABSOLUTE JOY TO LISTEN TO!!! 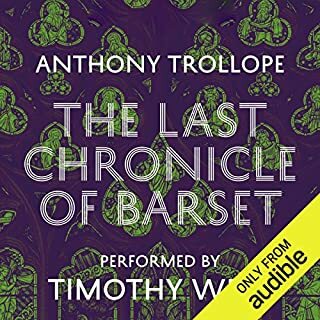 I cannot fully express how much pleasure I have experienced listening to the entire series "The Chronicles of Barset". Anthony Trollope's style is so well written...literate and clever, witty and warm. I generally have a deep dislike for "romance" in my books but not with Trollope whose "Chronicles" have unrequited love as a central theme..... as well as wealth, poverty, social class and the general absurdity of the human race . This only goes to show you the extent to which this writer is able to pull you in to his world. I have every intention of listening to every book Trollope has written - especially the ones read by the amazing TIMOTHY WEST. This narrator reads these books has though these were his stories. 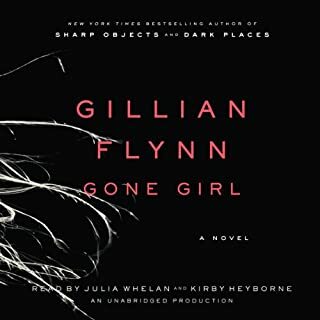 Initially I wasn't aware that this book was written by the same author as "Sharp Objects" but I wasn't at all surprised when I found out. The books both relate a twisted dark story. I couldn't stop listening. I felt compelled to KNOW....what they were thinking, what they were going to do or had done, what they were feeling and on and on. For me this book was DIFFERENT...told by the two main characters but still a mystery and suspense and VERY enjoyable. I wanted the ending to be different but at the same time the ending just worked.